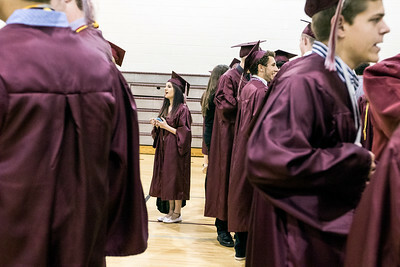 Sarah Nader- snader@shawmedia.com Prairie Ridge graduates line up before Saturday's commencement ceremony at Prairie Ridge High School May 30, 2015. 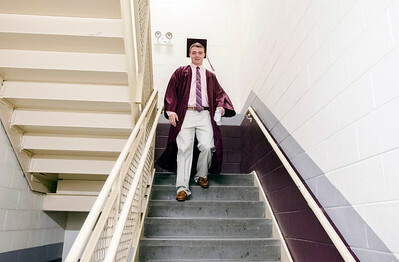 Sarah Nader- snader@shawmedia.com Prairie Ridge graduate Brent Anderson, 18 makes his way to the gym before Saturday's commencement ceremony at Prairie Ridge High School May 30, 2015. Anderson plans to play football and study business management at Ripon College after high school. 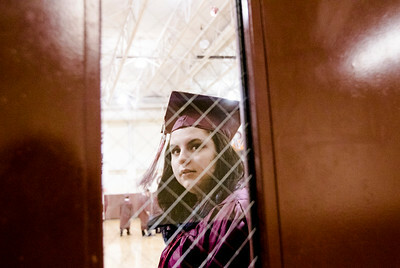 Sarah Nader- snader@shawmedia.com Prairie Ridge graduate Alicia Komes, 18, peeks out the door before Saturday's commencement ceremony at Prairie Ridge High School May 30, 2015. Komes plans to study writing at Columbia College Chicago after high school. 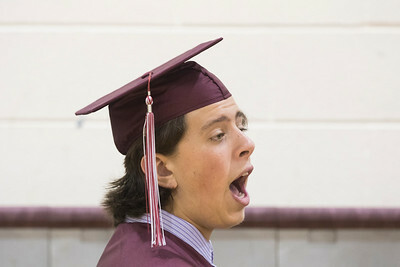 Sarah Nader- snader@shawmedia.com Prairie Ridge graduate Mitch Kazin, 18, fixes his cap before Saturday's commencement ceremony at Prairie Ridge High School May 30, 2015. 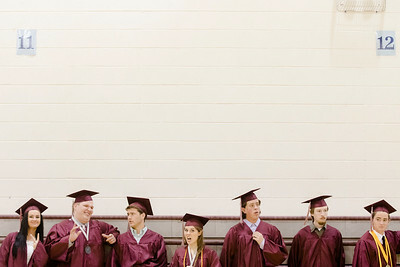 Sarah Nader- snader@shawmedia.com Prairie Ridge graduate George Troy, 17, talks with friends before Saturday's commencement ceremony at Prairie Ridge High School May 30, 2015. 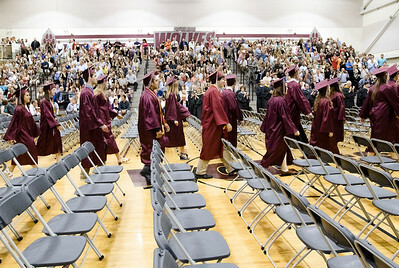 Sarah Nader- snader@shawmedia.com Prairie Ridge graduates walk to their seats during Saturday's commencement ceremony at Prairie Ridge High School May 30, 2015. 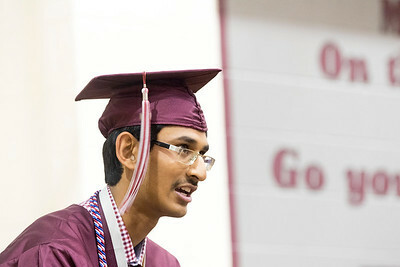 Sarah Nader- snader@shawmedia.com Valedictorian Aditya Rawal address his classmates during Saturday's commencement ceremony at Prairie Ridge High School May 30, 2015. Sarah Nader- snader@shawmedia.com Lauren Erickson (left), 17, has her cap put on by Emma O'Brien before Saturday's commencement ceremony at Prairie Ridge High School May 30, 2015. 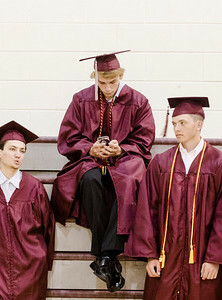 Sarah Nader- snader@shawmedia.com Prairie Ridge graduates Patrick Schuler (left), 17, Marc Schoenebeck, 18, and Connor Schneider, 18, wait for the start of Saturday's commencement ceremony at Prairie Ridge High School May 30, 2015. 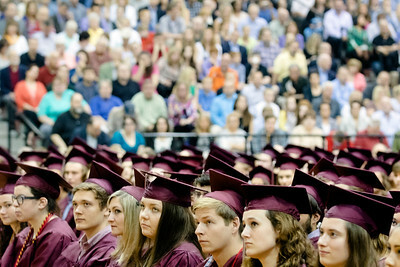 Sarah Nader- snader@shawmedia.com Prairie Ridge graduates during Saturday's commencement ceremony at Prairie Ridge High School May 30, 2015. Sarah Nader- snader@shawmedia.com Prairie Ridge graduate Sydney Parrish, 18, talks with friends before Saturday's commencement ceremony at Prairie Ridge High School May 30, 2015. 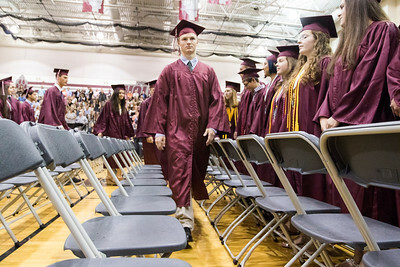 Sarah Nader- snader@shawmedia.com Matt Kuechenberg walks to his seat during Saturday's commencement ceremony at Prairie Ridge High School May 30, 2015. 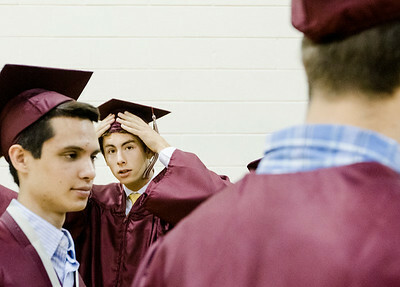 Prairie Ridge graduate George Troy, 17, talks with friends before Saturday's commencement ceremony at Prairie Ridge High School May 30, 2015.